A visit to the Japanese Tea House and Garden creates an intense awakening of the senses with the sounds of an azalea-covered waterfall, the sights of regal lanterns and statues, and the intoxicating scent of sweet wisteria and other magical blooms. 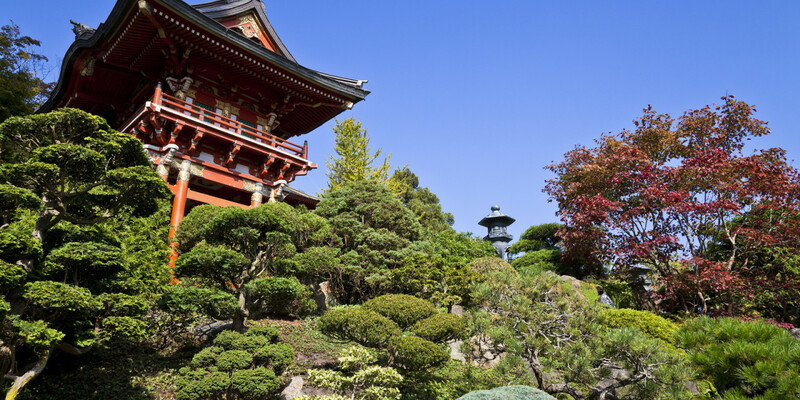 With a history dotted with devotion and creativity, the Japanese Tea House and Garden has been a favorite stop for guests touring the Golden Gate Park. Although the name of this incredible site suggests you’d stop by for a sip of tea, this is probably the least enticing draw associated with this alluring attraction. As you enter the Main Gate of the Japanese Tea Garden, you will encounter the Monterey Pine, which Hagiwara relocated in 1900 from the Golden Gate Park oceanfront to its current home. Venturing through the Main Gate, remnants of the original site are in view, including the columns of the Music Concourse from the 1894 Expo. Just inside the Main Gate, glance to your left to encounter a clipped hedge in the form of Mt. Fuji. This feature pays tribute to Hagiwara’s Japanese roots, which were located close to this highest mountain in Japan. If you stop by the Japanese Tea House for a cup of tea, you can also catch sight of this attraction when peering beyond the pond. To the left of the Mt. Fuji Hedge, you will find the Dragon Hedge, decorated with a backdrop of illuminating bamboo. 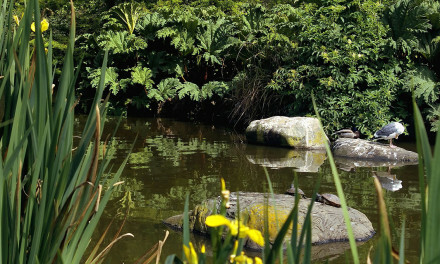 Also located close to the Main Gate, you may relax in the company of delicate irises and dwarf trees. It is here that a pathway filled with character, guides you to the Drum Bridge, where mesmerizing greenery and a noble Chinese pine reside. Reflecting a perfect circle, the Drum Bridge represents part of the 1894 Japanese Village. When you reach the Gift Shop, you will encounter a peaceful waterfall setting surrounded by wisteria, azaleas, dwarf trees, and the Japanese maple tree. To the far left, the Japanese wisteria originates from the early-1900 specimens planted by Hagiwara. A small lake with island décor is situated in this section of the park, which was also part of the original Japanese Village. This sight is located in front of the Japanese Tea House, which additionally provides a view of the Gift Shop beyond the greenery. Located close to the Gift Shop, an impressively carved water basin (in the shape of a boat) is positioned. This feature offers the traditional washing of the hands before entering the Tea Room. If you venture between the Gift Shop and the Asian Art Museum, a large keyaki tree, which precedes Hagiwara’s grand landscaping efforts is found. In the vicinity, you may also visit the Sunken Garden, which was designed in the same area where the Hagiwara’s former residence was stood. Another sight worth a look includes the Pagoda, which measures five stories. 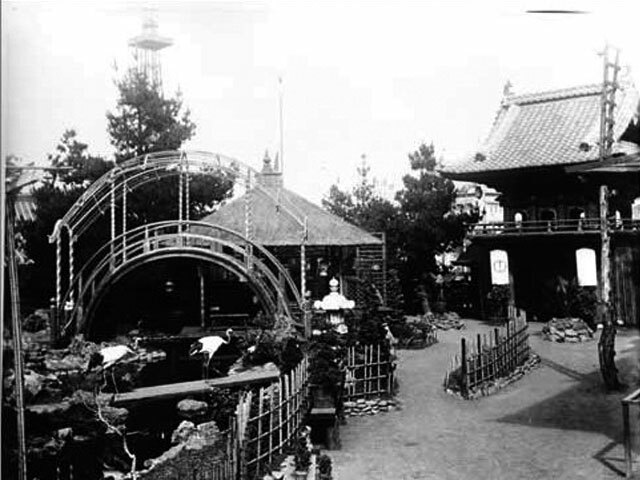 This attraction once graced the 1915 Japanese exhibit at the Panama-Pacific Exposition. Pagodas hold a special place in Far East culture, as they serve as Buddhist shrines. The nine rings on this particular example symbolize the different heavens of the gods. Situated behind the Pagoda, the Zen Garden filled with bonsai trees and azaleas presents a mini-mountain setting, complete with stone waterfall and a river made of white gravel. 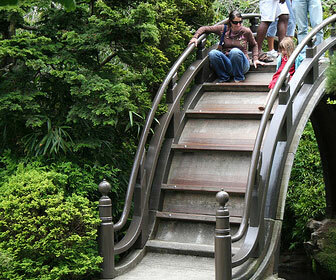 In the end, Hagiwara was responsible for erecting the Tea House, the garden, and the pavilions. He constructed a large public arena, as well as a small private setting for his family to dwell while he looked after the greenery. 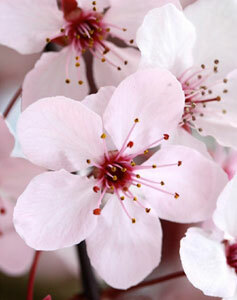 The garden was eventually expanded to reach close to five acres, exceeding the original space by four acres of land. Hagiwara not only perfected the landscaping, but also imported a wealth of authentic tributes to his homeland, including rare Japanese birds, goldfish, bronze items, and plants. The new garden was also decorated with an assortment of appealing statues, such as a wooden Buddha, a Shinto Shrine, stately eagles with spread wings, and a porcelain lantern. 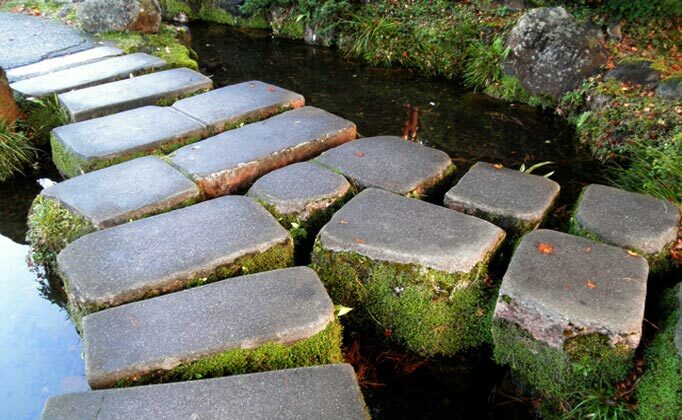 Between 1895 and 1942, Hagiwara and his family resided, cared for, and furthered the development of the Japanese Tea Garden, until an unfortunate event occurred. World War II struck and the family was forced from their home and ushered off to concentration camps with other Japanese Americans. The garden was then given the name “The Oriental Tea Garden.” During wartime, many of the beautiful arrangements were destroyed or removed, sculptures vanished, and many plants succumbed from lack of care. Today, there are flashes of the original Japanese Tea Garden, such as the Monterey pine located by the Main Gate, but overall, much of the original tea garden has been erased. In 1952, the garden was officially renamed the Japanese Tea Garden once more, and in 1953, a 9,000 pound Japanese offering called the Lantern of Peace was placed on the premises in an effort to ease the tensions associated with the past. a) Meditate and Relax: The scenery of and surrounding the Japanese Tea House is one that encourages, promotes, and fosters meditation and relaxation. Finding a quiet corner filled with indulgent scents and creative energy is an easy task to accomplish when it comes to reading a book or finding peace within. 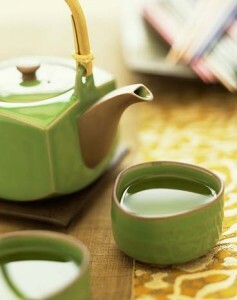 b) Sip Tea: While tea drinking takes a far backseat to the visual excitement of the Japanese Tea House, you may nonetheless purchase a cup to sip while roaming about the captivating grounds. c) Capture Creative Greenery: When visiting the Japanese Tea House, it is a must to carry along a camera so you may capture this gentle moment forever. The enchanting landscape to the colorful blooms to the striking architecture, you are never at a loss when it comes to creating a special memory. d) Take Wedding Photos: While the Hagiwara Gate is a terrific place to execute and grab hold of the perfect wedding snapshot; there are plenty of locations beyond the entrance that set a memorable scene. The brick terrace, the Sunken Garden, the Temple Gate, as well as the Crane Sculptures are all worthy options. e) Purchase a Souvenir: Explore a handful of Japanese-inspired souvenirs as you visit the Gift Shop. Don’t forget to bring cash on hand when visiting this attraction because both the Gift Shop and the Japanese Tea House do not accept credit cards. Location: The Japanese Tea Garden and House is located on the corner of Tea Garden at Martin Luther King, Jr. within the Golden Gate Park. Hours: Open daily. There are no holiday closures. Summer Hours (3/1 through 10/31): 9:00 a.m. to 6:00 p.m.
Winter Hours (11/1 through 2/28): 9:00 a.m. to 4:45 p.m.
Free admission when entering the gardens before 10:00 a.m. on Mon, Wed, Fri. Interesting Fact: The designer of the Japanese Tea House and Garden, Makoto Hagiwara, is often credited with the invention and introduction of the popular fortune cookie concept to the American public.